We love people. We love houses. We bring them together. Every Day. Scott Wiseman, Lyndsay Robinson, Shelby Tipton, Mary Villella, Tina Roe, Alethea Beasley, and Noah Bogeart. It's about YOU. We strive to be a professional real estate team to serve and guide with compassion and dedication. Our mission is to create meaningful relationships with our clients while advising, educating, and assisting them throughout their buying or selling experience. 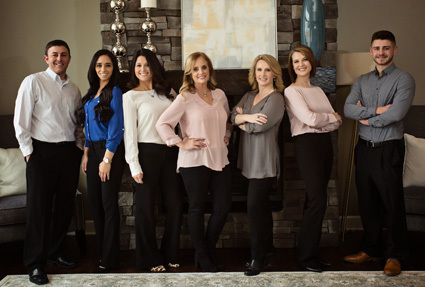 Tina Roe, Mary Villella, Shelby Tipton, Scott Wiseman, Lyndsay Robinson, Alethea Beasley, and Noah Bogeart have partnered to provide clients with the most professional and positive real estate experience possible. Each of us brings varied backgrounds and life experiences that help us connect with our clients. Our clients demand experience and service with integrity from start to finish. We are dedicated to providing first-class service and expertise to all of our clients. Whether you are buying or selling your primary home, a second home, or relocating to a new neighborhood, we can help make your home ownership dreams come true. Let us service all of your real estate needs. Licensed in Missouri and Kansas for Residential and Commercial properties. 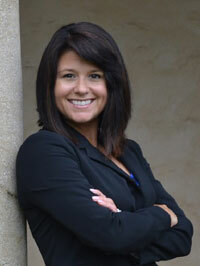 Shelby attended Longview College and brings over five years of experience in the mortgage industry. Her attention to detail and customer driven approach makes her a perfect match for this team. She assists buyers and sellers with their real estate goals. 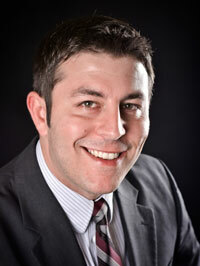 Scott has been valuing commercial real estate for over 10 years throughout the United States. Scott brings his vast knowledge of real estate to give our clients a knowledgeable and effective experience. His personal and professional approach is a welcome experience to his clients. 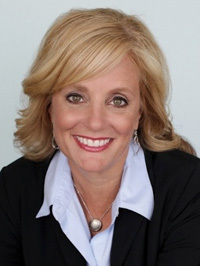 Mary is a graduate of the University of Kansas with a Bachelor of Science Degree in Occupational Therapy. Her wealth of knowledge of the Kansas City metro areas cannot be matched as she has lived in both Missouri and Kansas. 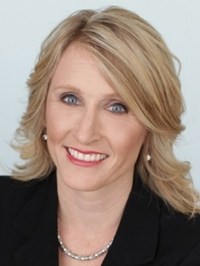 In addition, she provides unparalleled customer service to her clients and was awarded the KC Five Star Real Estate Award for providing exemplary service to those clients. Tina is a graduate of the United States Air Force Academy with a Bachelor of Science in Management. She also holds a Masters Degree in Procurement and Acquisition Management from Webster University. Her background in construction project management and contracting helps ease transactions for her clients. She was also awarded the KC Five Star Real Estate Award for her professional and exemplary customer service.